Who can forget the appalling scenes pictured on Blue Planet II in late 2017? Images of oceans poisoned with plastic shocked the nation and drove the issue of pollution and environmentalism to new heights in the public agenda. 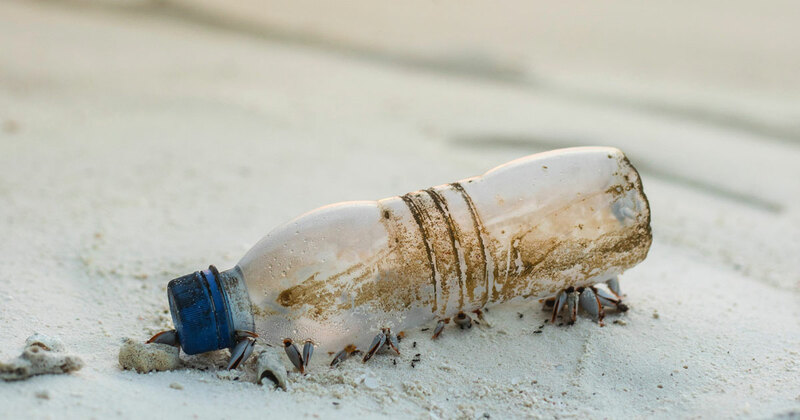 This year, National Recycle Week – a campaign organised by WRAP – is choosing to focus on the public’s new-found desire to tackle plastic pollution and its damaging effects on the environment. Recycle Week is an annual awareness campaign run by WRAP (Waste and Resources Action Programme), an independent body that drives sustainable change across multiple industry sectors. Now celebrating its 15th year, Recycle Week aims to celebrate and promote recycling in homes, businesses and larger organisations. This year, Recycle Week takes place from Monday 24th to Sunday 30th of September. From reducing your environmental impact to helping you create a more appealing brand image, Recycle Week is a fantastic opportunity for you to embrace recycling and reap its many rewards. As of April 1st 2018, the landfill tax sits at £88.95 per tonne – making it one of the most expensive ways to dispose of your rubbish. By recycling as many materials as possible, you can limit the number of times you need to send your general waste to landfill sites. This means the less plastic, glass, paper, cardboard, metal and food waste you send to landfill, the more money your business can save. Many waste management services across the UK are willing to pay for your recyclable materials. While prices vary from business to business, many will pay upwards of £100 per tonne for certain recyclables. 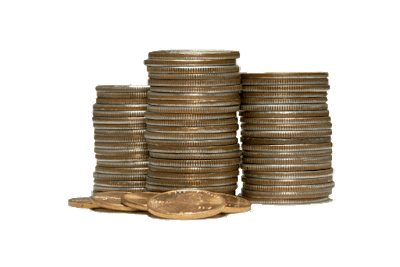 Whether you’re producing paper and cardboard or plastic bottles and mixed metals, there’s a waste management service that is prepared to pay for your materials. Millennials and the younger generations will soon become the lifeblood of your operation. In fact, by 2020 millennials will make up half of the labour market. So it’s important you are catering to their needs and values. According to a 2015 study by Deloitte, 75% of millennials believe businesses are too focused “on their own agenda rather than considering the wider society”. Taking a more proactive approach to recycling is one simple action you can make to show your young workforce you care about major environmental issues. By demonstrating that your business has strong values, you can help to improve employee retention and even make your company more attractive to prospective workers. 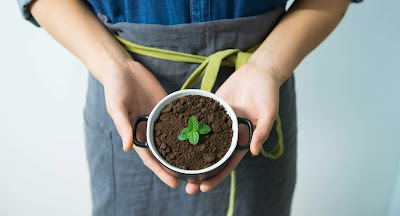 Demonstrating a commitment to social and environmental causes can also improve your business’s image to potential customers. A 2017 report by Unilever - owner of over 400 global entities such as Dove, Lipton and Ben & Jerry’s - found brands with sustainability at the core of their business ethos grew 50% faster than the rest - delivering more than 60% of Unilever’s growth in 2016. With recycling and the damaging effects of plastic pollution now such a huge issue, you can’t afford to be seen taking a backseat when it comes to your waste disposal. Showing your business has a real commitment to sustainability can help to generate positive publicity and show you aren’t just interested in profits. Recycling will also help you lower your carbon footprint and make a more positive impact on the environment. Recycled materials can be used to make new products. They require less energy to make and have a smaller carbon footprint than similar products made from new resources. Recycling also means fewer materials are being sent to landfill, where waste will emit harmful greenhouse gases. These emissions can be extremely damaging to the environment. In order to see the full benefits, you need to make sure you, your staff and your customers are doing everything to recycle to the best of your abilities. Below are just a few simple ways you can increase your business’s recycling rates. An obvious choice, but without a good recycling bin your staff and customers will have nowhere to throw away their recyclables. 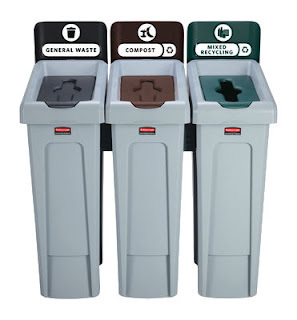 The best recycling bins - such as the Rubbermaid Slim Jim recycling stations - have clearly labelled and colour-coded designs to make segregating waste easy. Assigning a particular colour of bin bag to a particular recyclable will help to make sure the right material is disposed of into the right sack. This will help to lower the risk of general waste and incorrect materials contaminating the recycling process. It’s all well and good you telling your staff and customers that recycling is better for the planet. But if they don’t know what can and cannot be recycled, you’re right back to square one. Training your employees on which materials can be recycled, which bin they should go in and what happens when they are collected will help to improve your recycling rates. Holding an induction for every new employee will also make sure the recycling scheme is integrated at all levels of your business. Combine your newly taught staff with educational posters, stickers and leaflets in your front-of-house and you’ll also have your customers educated on all things recycling in no time. To read more on what can be recycled, and what you need to look for when buying a recycling bin, take a look at our handy guide on which kitchen bin is best for your business. If you aren’t already recycling the majority of your waste, Recycle Week is a great opportunity for you to try and do just that little bit more. You’ll be surprised at just how many benefits you see. To make sure you are fully equipped for this year’s Recycle Week, explore our vast selection of waste management solutions.